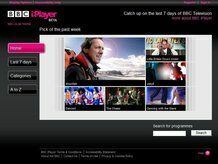 The BBC has sorted out a deal with Adobe that will allow both Linux and Mac users to download content from its iPlayer. The broadcaster has announced that a platform-neutral download client will be put into place by the end of the year. The news was broken on the BBC Intenet blog, where Erik Huggers, the BBC's director of future media and technology, wrote: "Using Adobe Integrated Runtime (AIR), we intend to make BBC iPlayer download functionality available on Mac, Linux and Windows for the first time later this year. "Whatever platform you use, you'll now be able to download TV programmes from the BBC to watch later - on the train, in the garden, or wherever you like." The iPlayer was launched in 2007 and since then been available to view on computers, mobile phones and games consoles. The download option has been only available to PC users. The option allows users to download episodes from the iPlayer and watch within a 30 day limit. Once a user clicks on the file, theyhave seven days to watch the programme.